Love this cat! 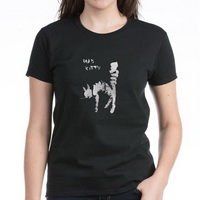 Yeow, it just says it all about being mad - and it's cute, too! Painted by Kathleen S.A. Smith, you can have this fab design on all kinds of t-shirts for babies to kids to teens to grownups! Cuddle up with this angry cat every night. 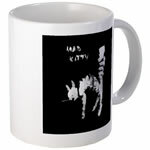 Mad Kitty Mug for cat lovers to start their day off right. One mad cat! 10" clock is only $13.99 at the Mad Kitty store. Cool kitty is mad. 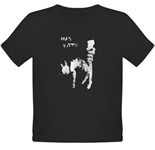 Get it at the Mad Kitty store.